Cloud computing has undoubtedly revolutionized the entire IT industry. It allows businesses to create ‘virtual offices’ giving the option to work at flexible timings and allowing them to access their data from anywhere. 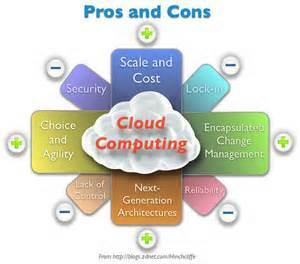 The following are some of the top benefits that cloud computing has given the IT industry. Therefore, cloud computing is not just beneficial, but essential to any company or industry that wishes to keep up with modern times. Hi, Its Ali Altaf, the Author of this article. I along with my team of programmers and system support engineers have launched a non-subscription based cloud management portal known as “CloudyBuddy”. Here we offer affordable cloud managed services. We offer management services such as performance optimization, patch management and security on flat rate and without unnecessary hidden charges. We aim to strike a difference in the MSP market by providing Bespoke managed service plans which cloud users can actually utilize accordance to their needs. This model is unlike conventional monthly plans from service providers that charge you for unnecessary operations and services that you didn’t even use. Send us a Message on http://www.smartmicros.com to inquire more.